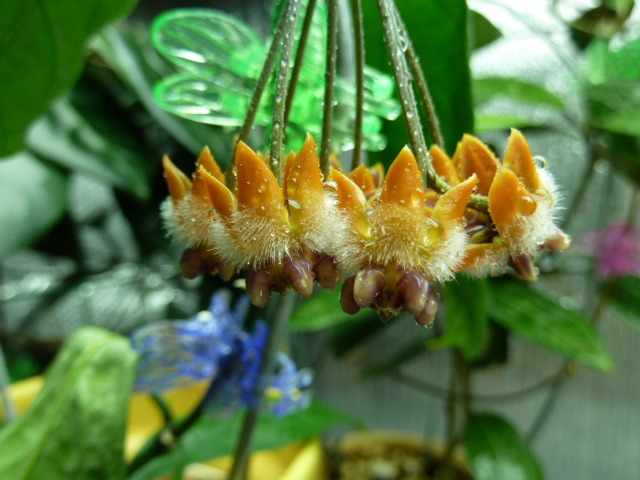 Hoya praetorii is a new acquisition acquired around three months ago in that disastrous Thai shipment. It arrived in very bad shape, but has recovered by growing two new leaves and blooming for me! 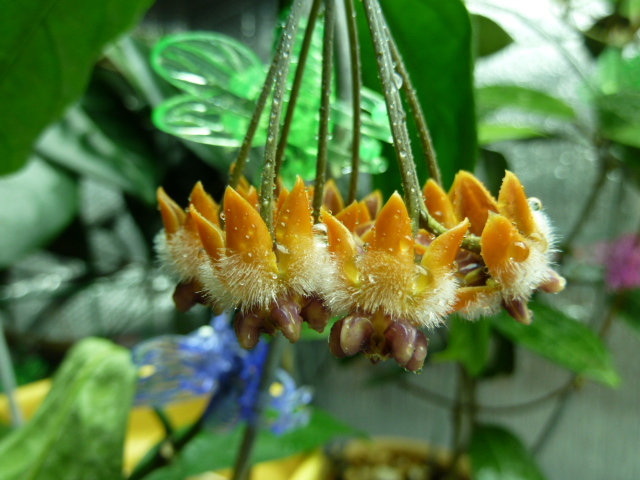 It has one of the most unusual Hoya blossoms that I have personally witnessed. The peduncle is yellow/brown and looks like it will fall off at any time, but apparently this is the normal color. It is a native of Indonesia, and is named after collector C.F.E. Praetorius. I have no idea what the long term prognosis for this Hoya will be, as I understand that it is not the easiest of plants to grow. 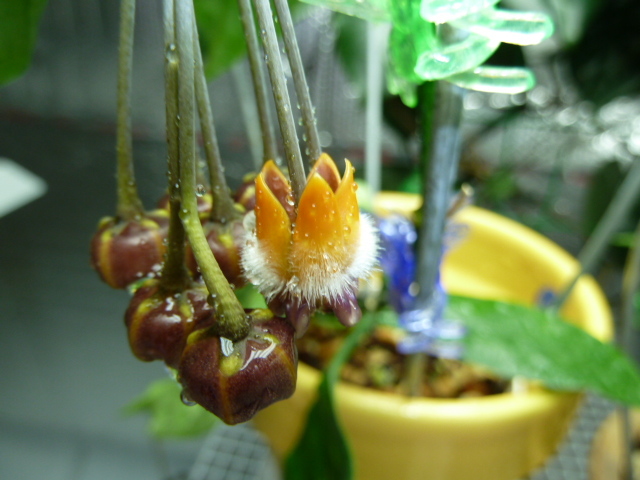 It is now living and blooming under the very warm, humid conditions of my artificially lighted plant room. I will report back on its progress after I have had it for a while. ***Update November 22, 2014*** I have now had this plant going on four years and flowered it dozens of times without ever losing the buds on it. It grows best in semi-hydro with plenty of warmth and humidity. It usually needs to be restarted every 12-16 months. I have read many places that people have a difficult time keeping the buds from falling off before maturity. I believe that I was lucky enough to get an unusually good clone of this plant that does not drop buds. I recently picked up a light yellow flowered clone with yellow coronas that dropped its buds the first time out. It does not bode well for the plant.